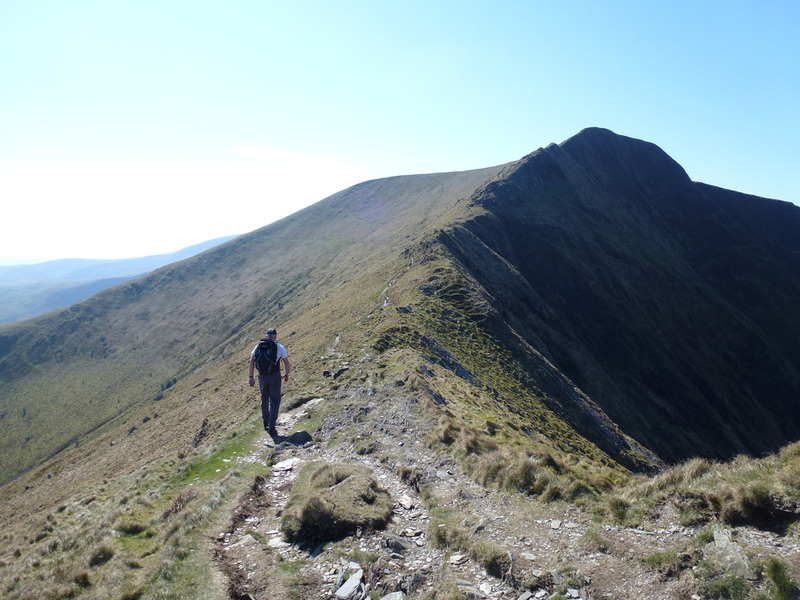 Good mountain paths for the most part. 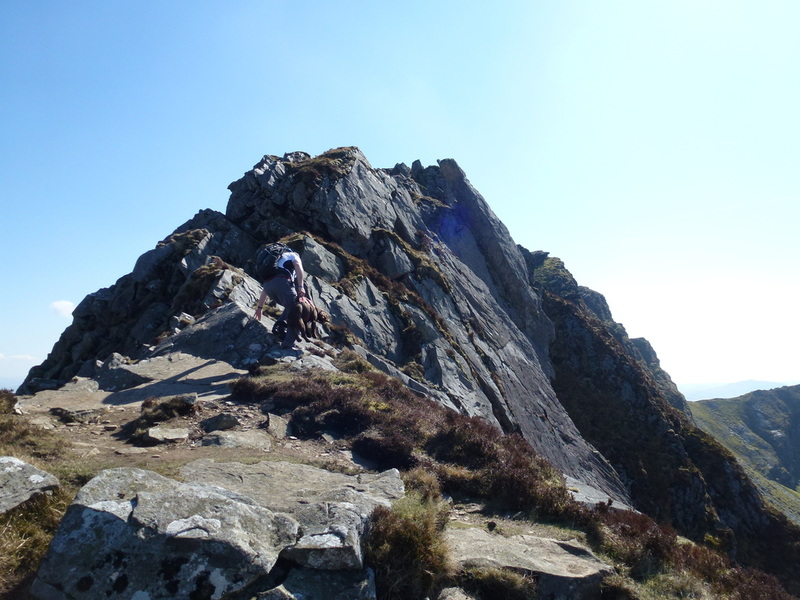 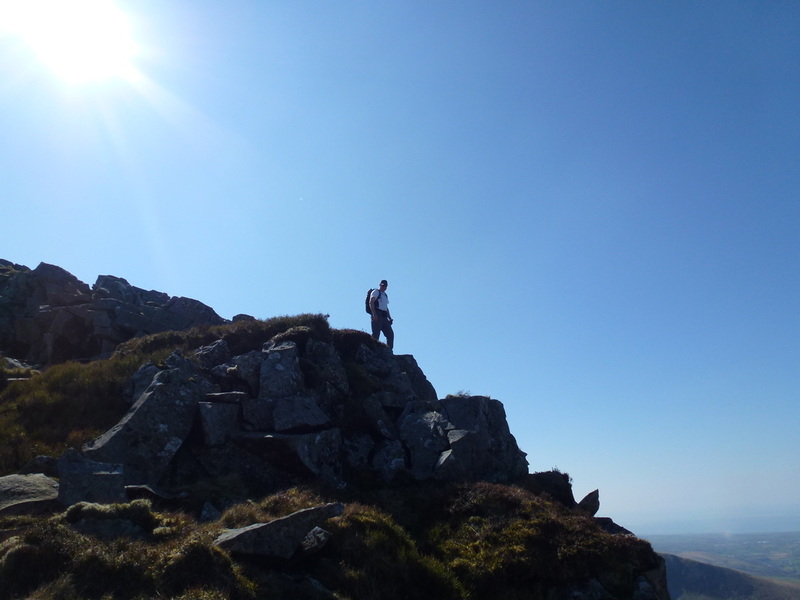 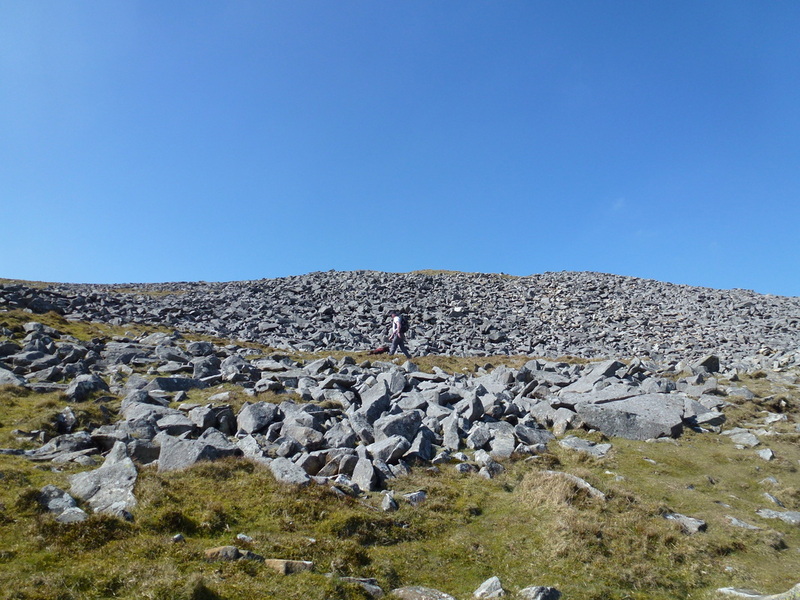 The scramble to the summit of Mynydd Drws-y-coed is on exposed rock and care should be taken. 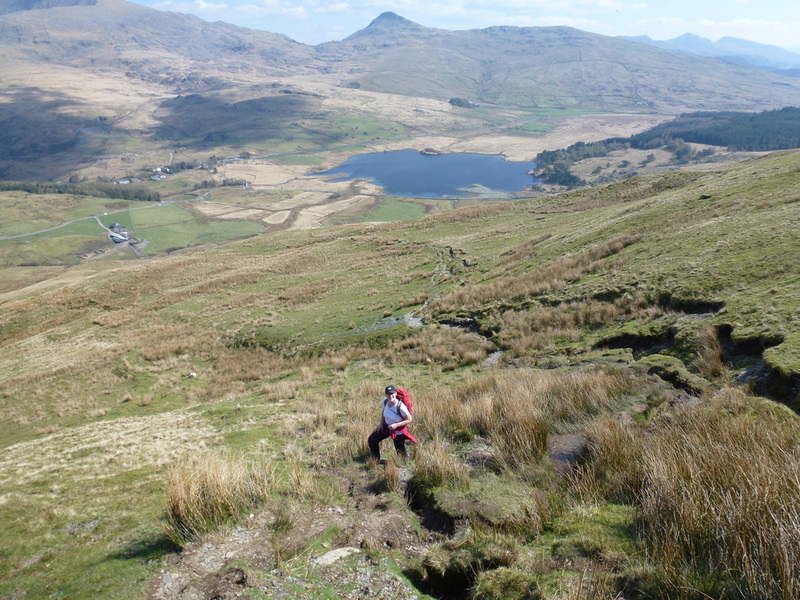 ​Up in Snowdonia for a couple of days during the Easter period therefore we were looking for a walk off the beaten track which would not be too overly populated with people. 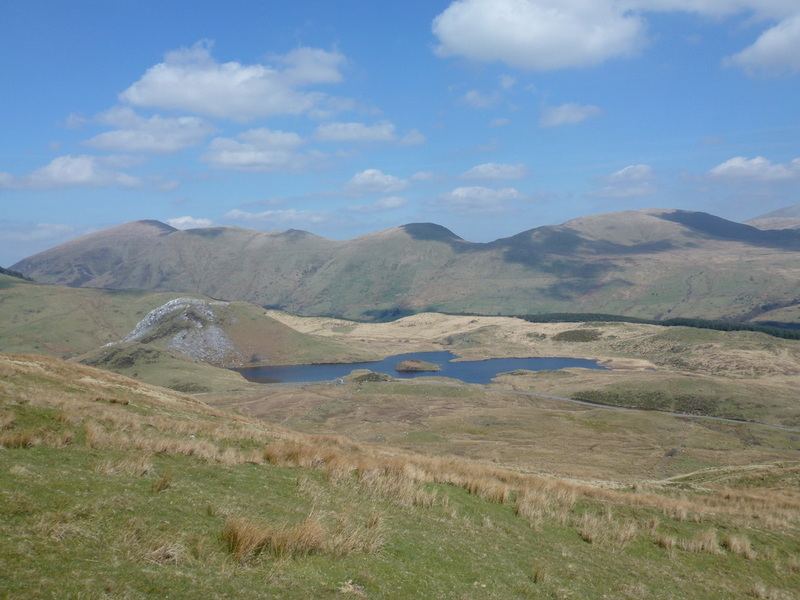 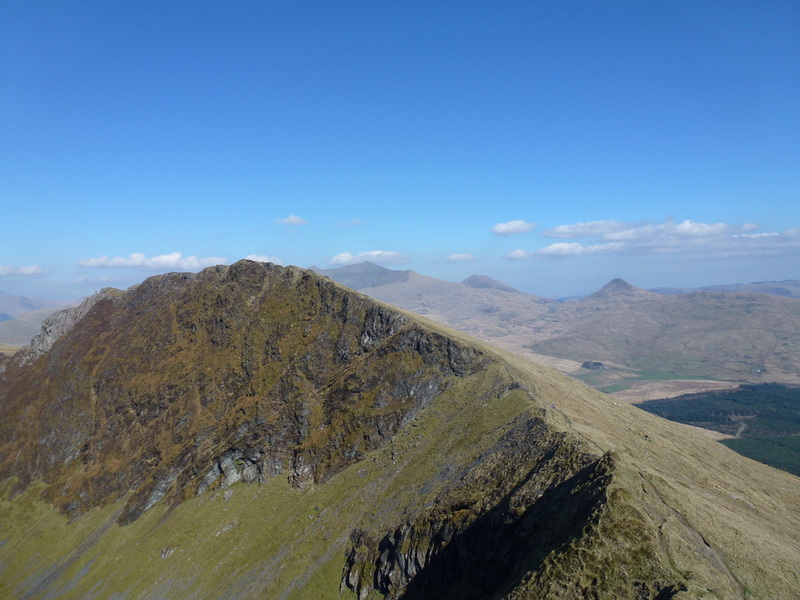 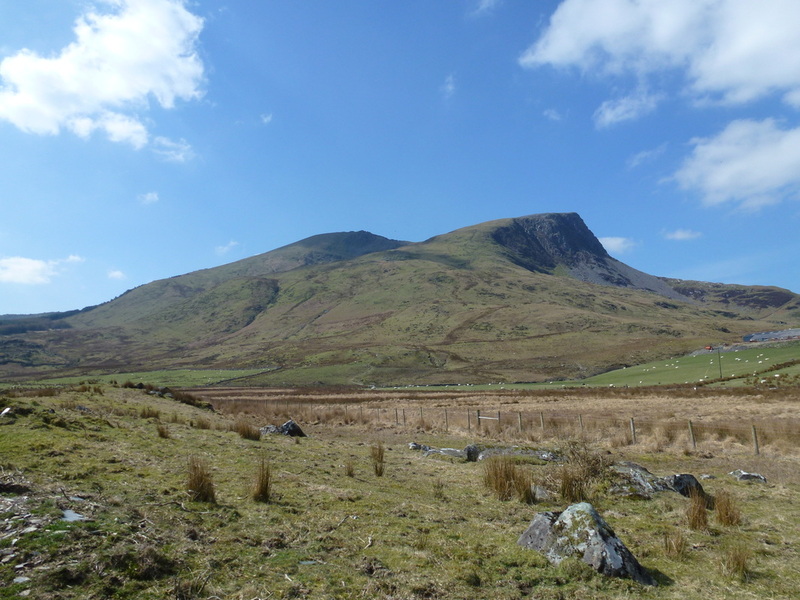 The Nantlle Ridge is the name given to a range of mountains which runs south west from the village of Rhyd Ddu for a distance of about 6 miles, ending above Nebo in the Nantlle valley. 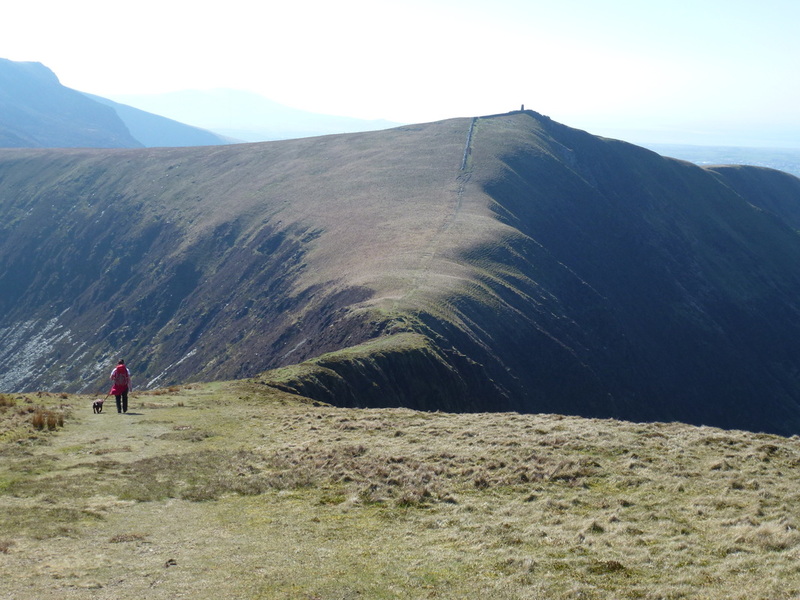 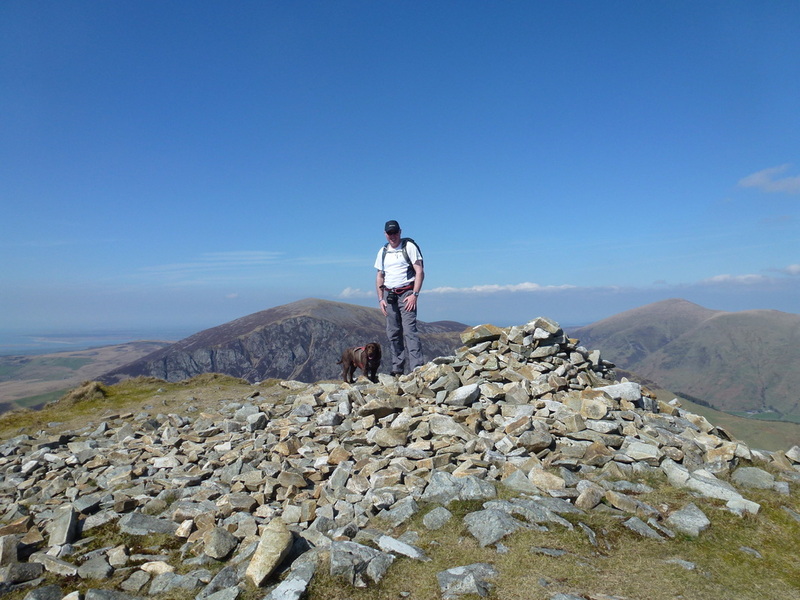 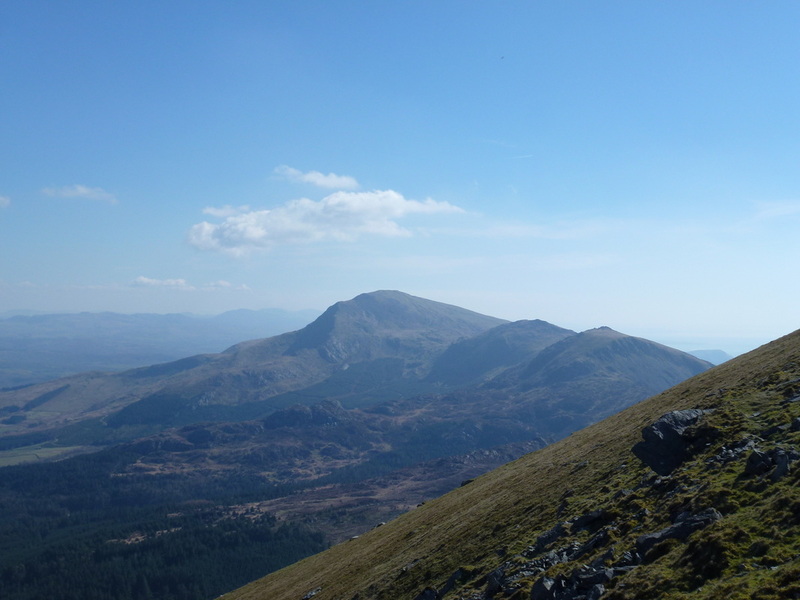 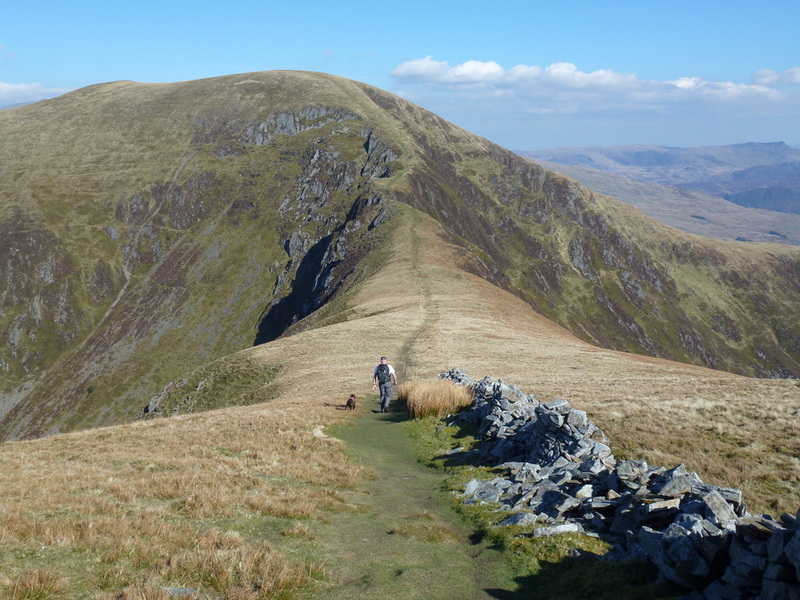 The ridge offers excellent hill walking with fewer crowds than on the more popular parts of Snowdonia. 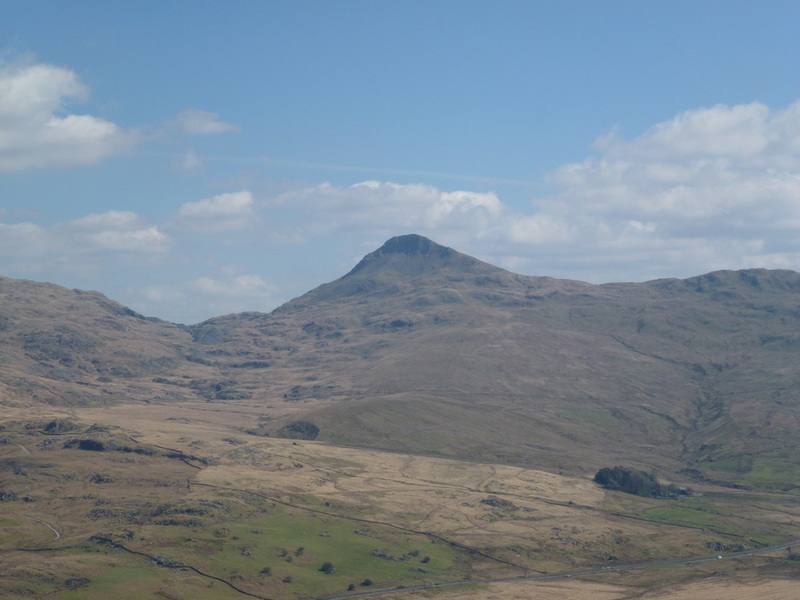 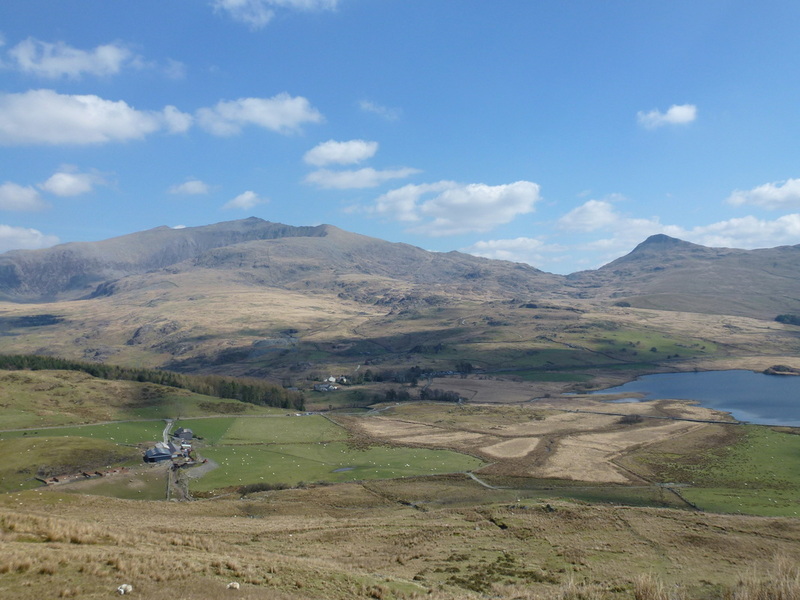 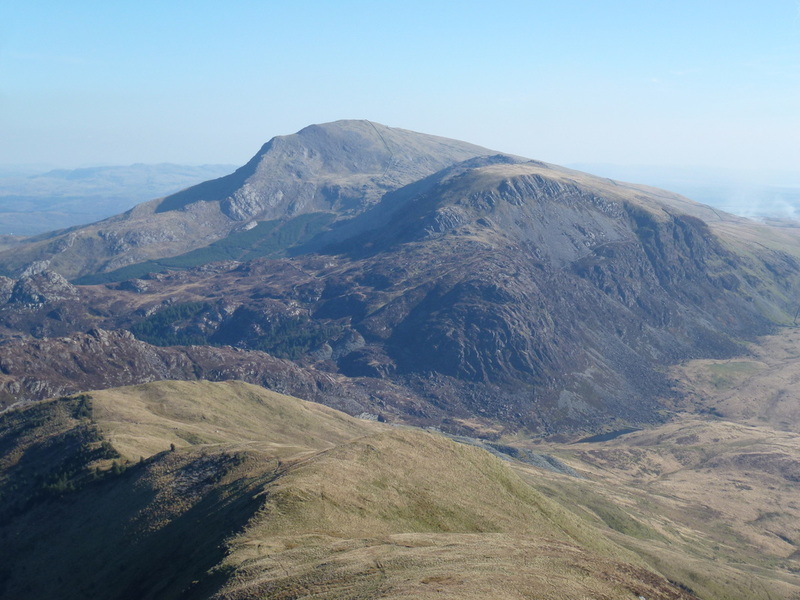 It can be started from either end, but the Rhyd Ddu end tends to be the most popular. 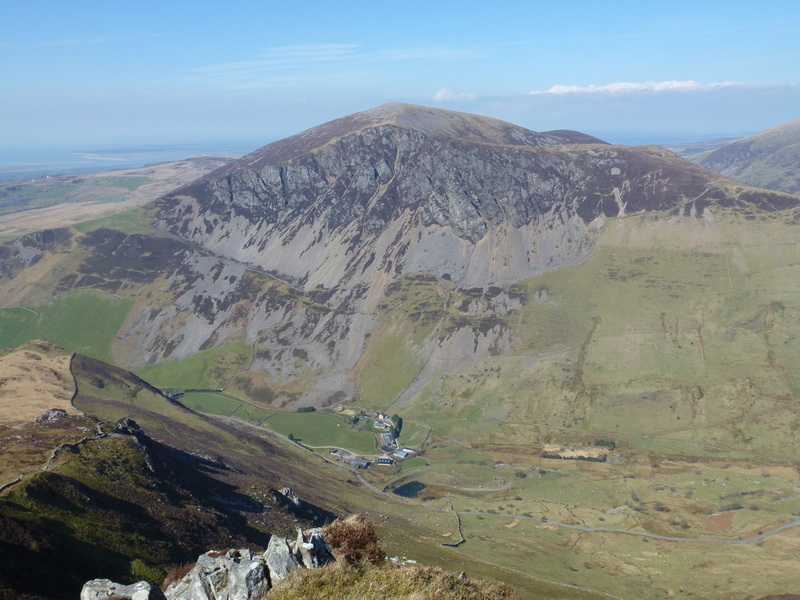 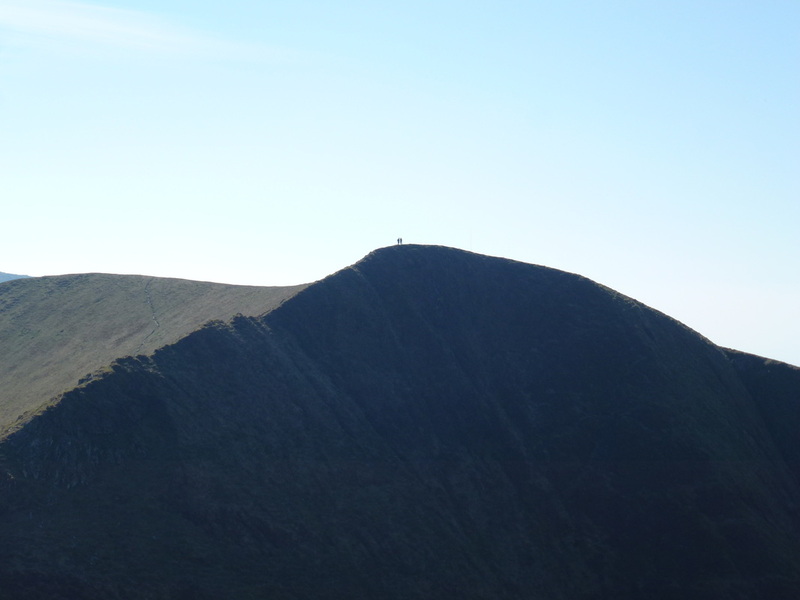 We have often looked over the inviting Nantlle Ridge from other walks therefore took a punt and headed over to Rhyd Ddu to walk part of the ridge to take in 4 of the 7 recognised summits. 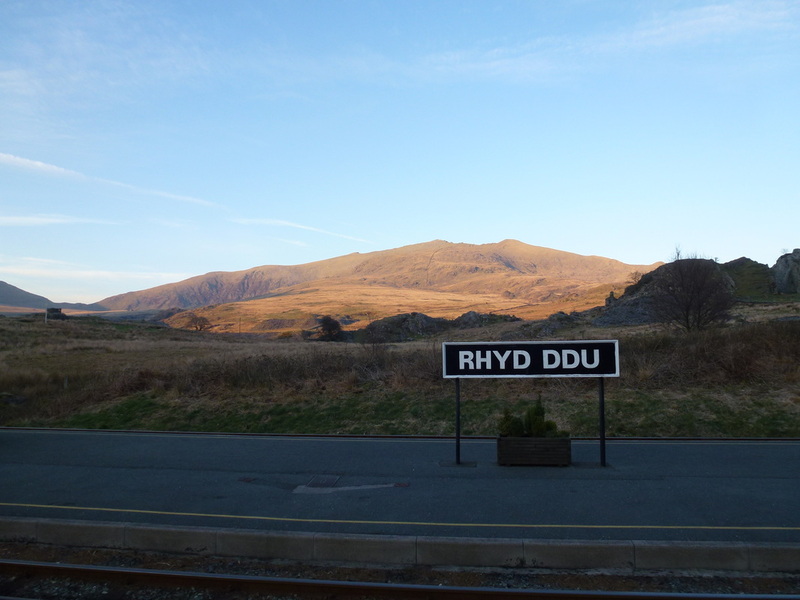 As expected Rhyd Ddu was busy and normally we would have arrived nice and early in order to grab a parking space on this busy day. 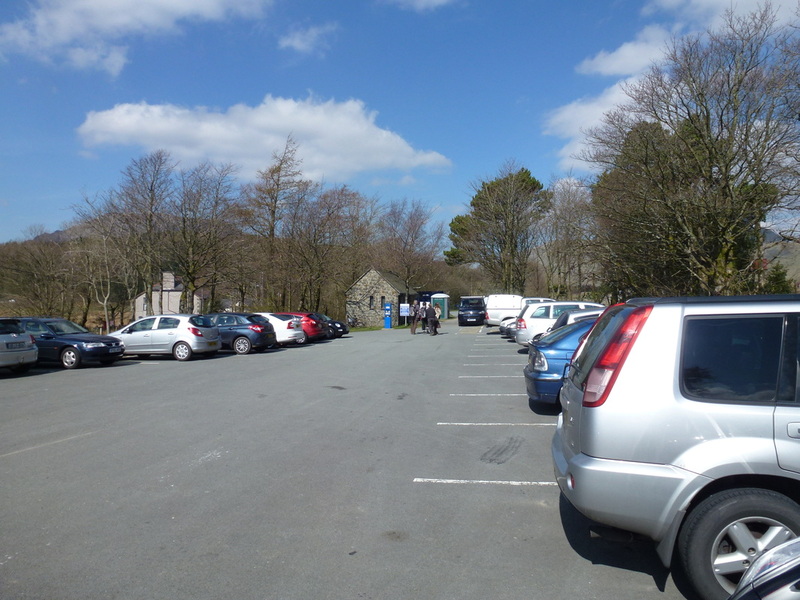 However we had driven up from home and did not arrive until the early afternoon therefore were lucky enough to grab the last available space in the car park. 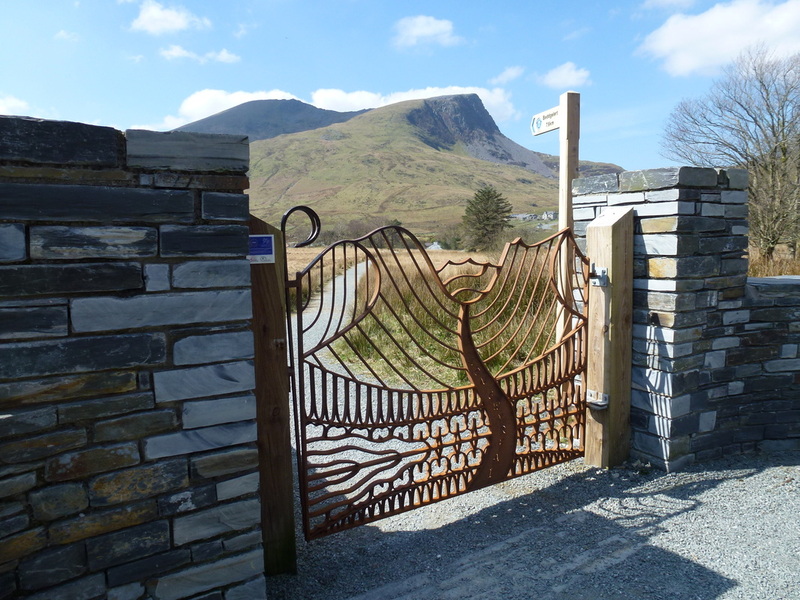 The route started by crossing the road, passing through the ornate gate and making our way along the fairly new path before heading off right to the first of todays summits, Y Garn. 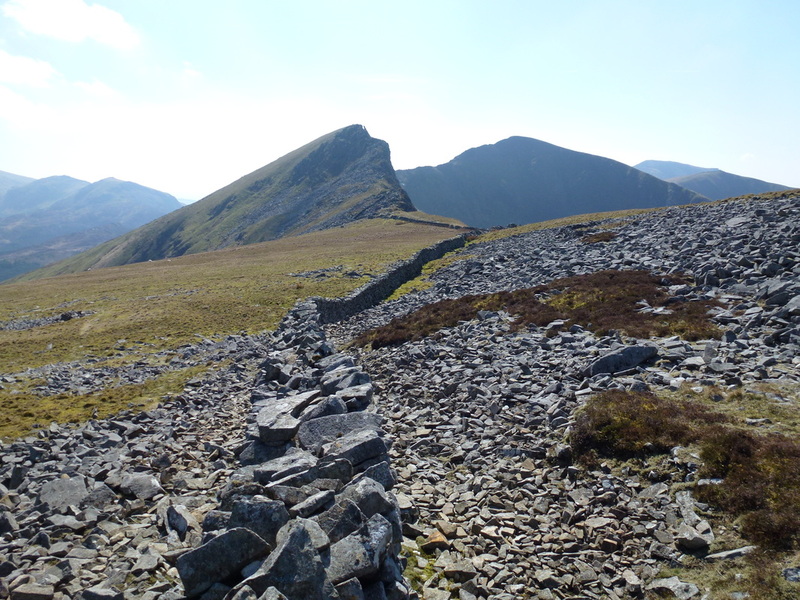 The path was on a gentle incline at first but steepened as the summit was gained. 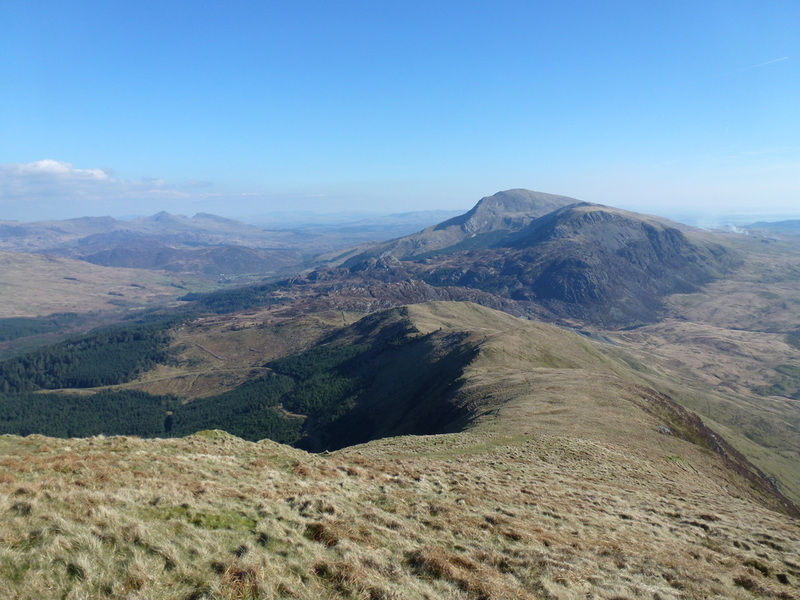 From the summit, to the south the full extent of the scramble up Mynydd Drws-y-coed could be seen and to the north Mynydd Mawr provided a superb backdrop. 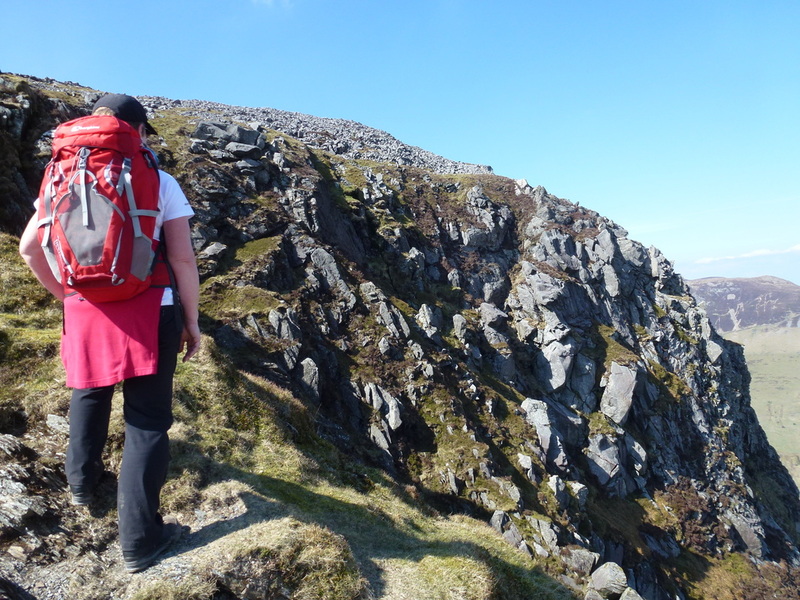 Leaving Y Garn, we kept to the western side of the wall before readying ourselves for the scramble up the northern ridge of Mynydd Drws-y-coed. 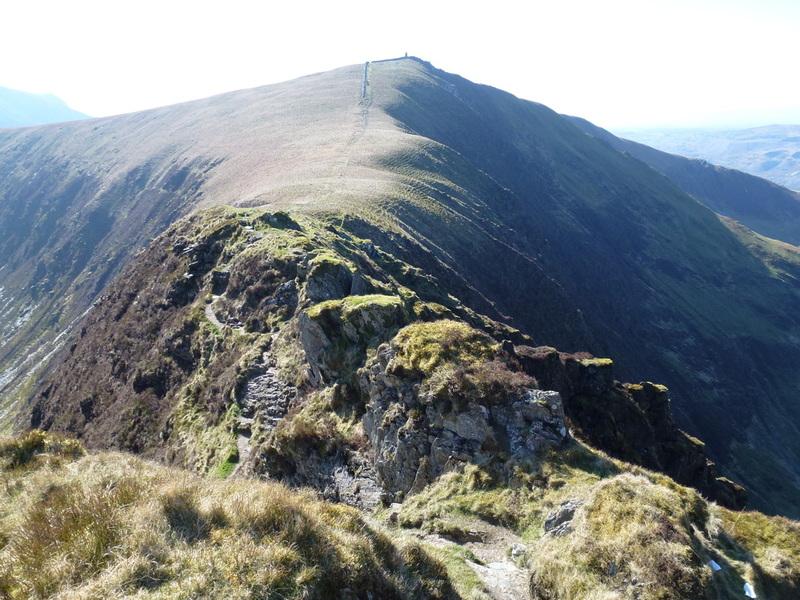 The way up looks intimidating but like any scramble, in good weather, with little wind and a cautious approach is an enjoyable and exhilarating climb. 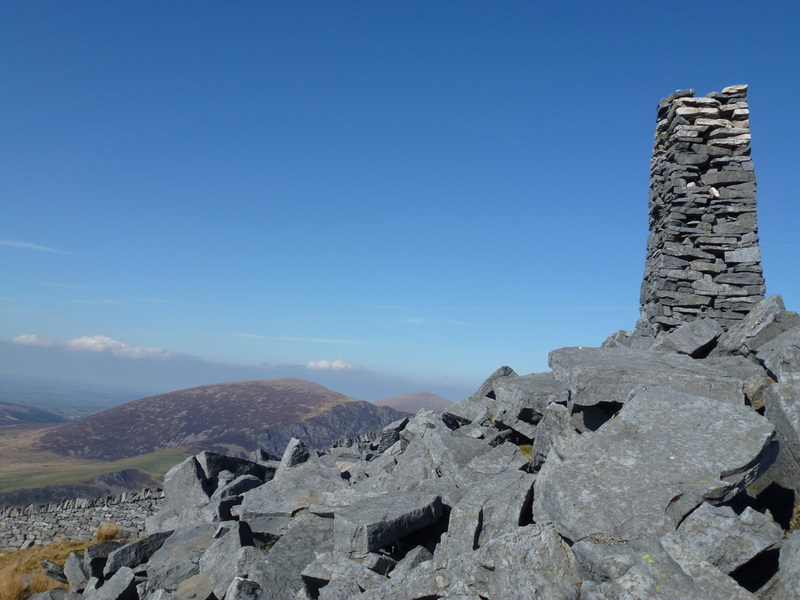 All too soon we were at the summit and with visibility this good, the views over to Snowdon, Moel Hebog and the rest of the ridge were superb. 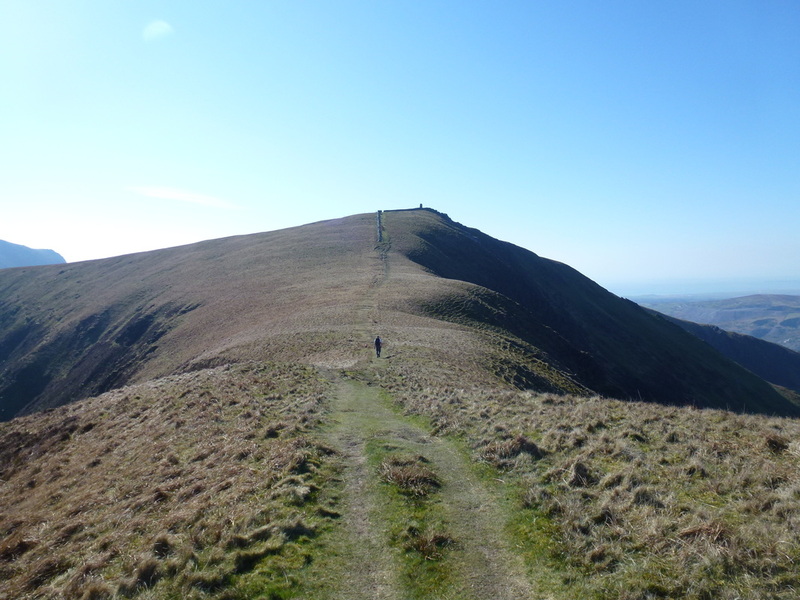 Departing the summit, there appeared to be another knife edged route up to Trum y Ddysgl but the path keeps away from the edge and it is in fact a delightful, yet steep rise up to the summit plateau. 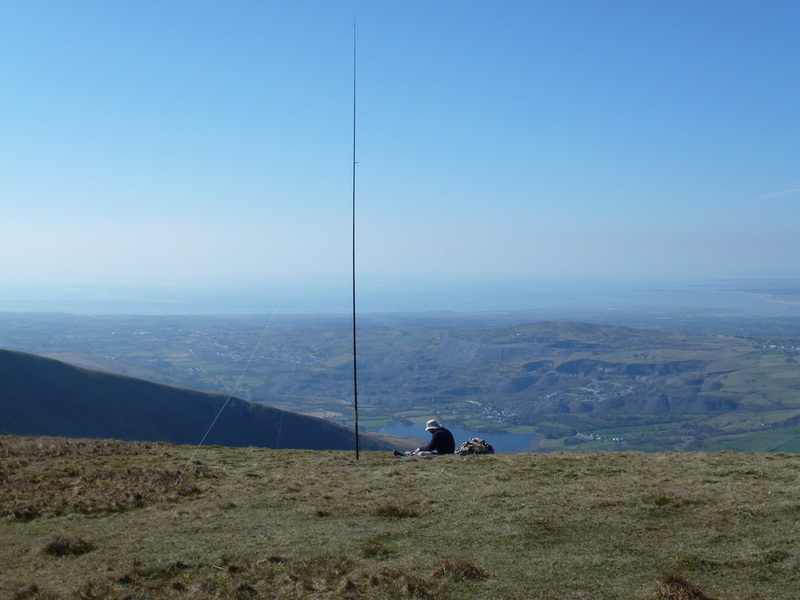 We were greeted at the top by the sight of a large mast which was being manned by a chap who was somewhat lacking in inter-personal skills which was a shame. 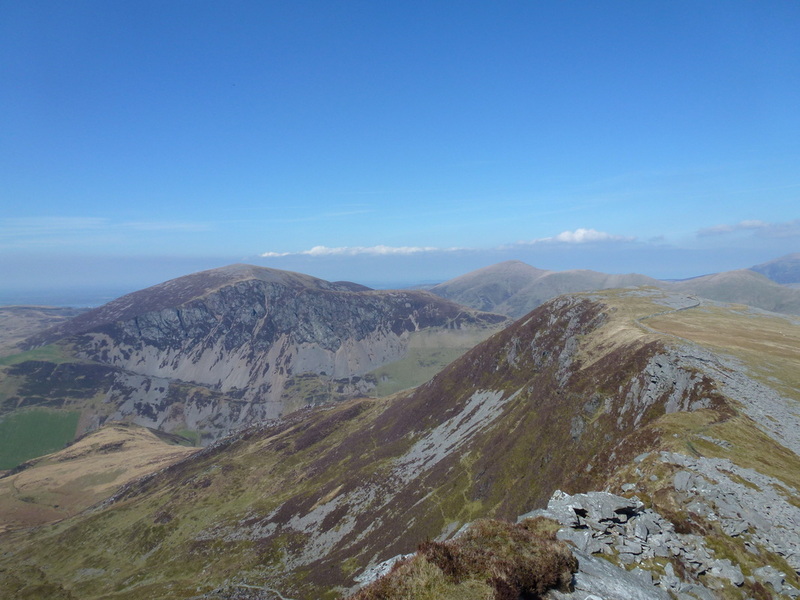 The ridge then continued over to Mynydd Tal-y-mignedd and we enjoyed a gradual descent on a good path towards what looked like a thin grass bridge, before which was a tricky but short scramble. 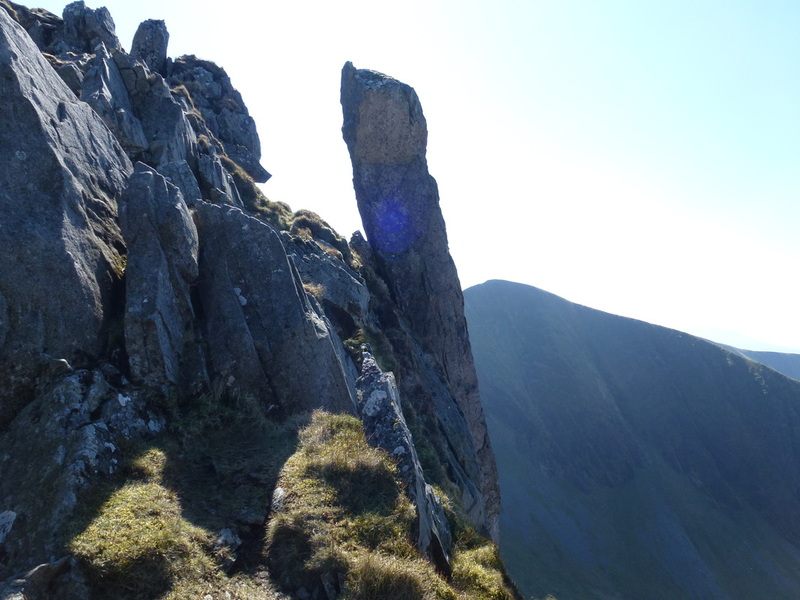 Once we had negotiated this, we made our way up a short steep incline to reach the impressive obelisk at the summit. 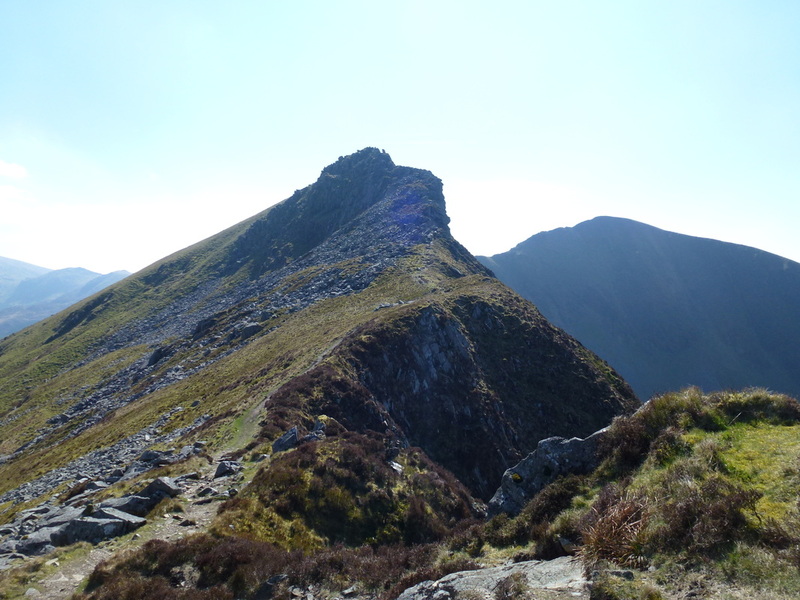 It was now a question of heading back the way we came and sloping across the southern flank of Trum y Ddysgl to follow a clear, steep path down the spur south to reach a stile at Bwlch-y-Ddwy-elor that led us into Beddgelert Forest. 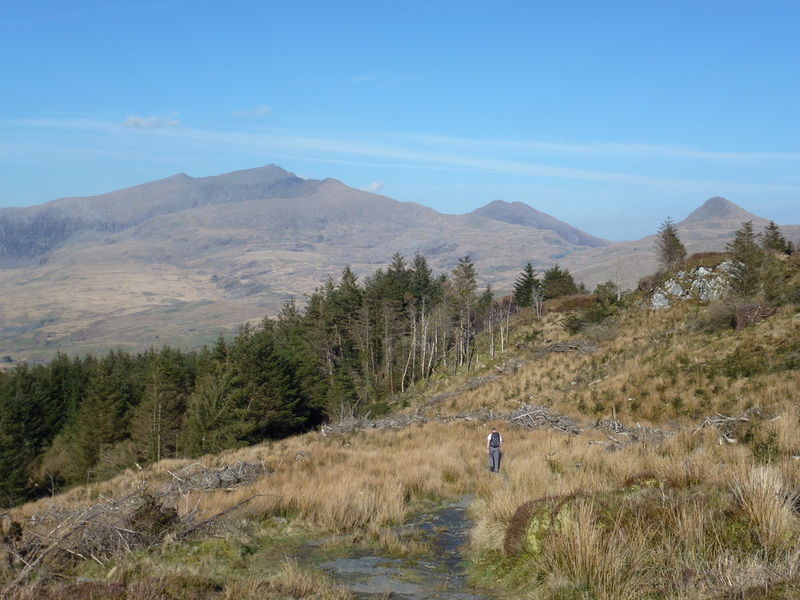 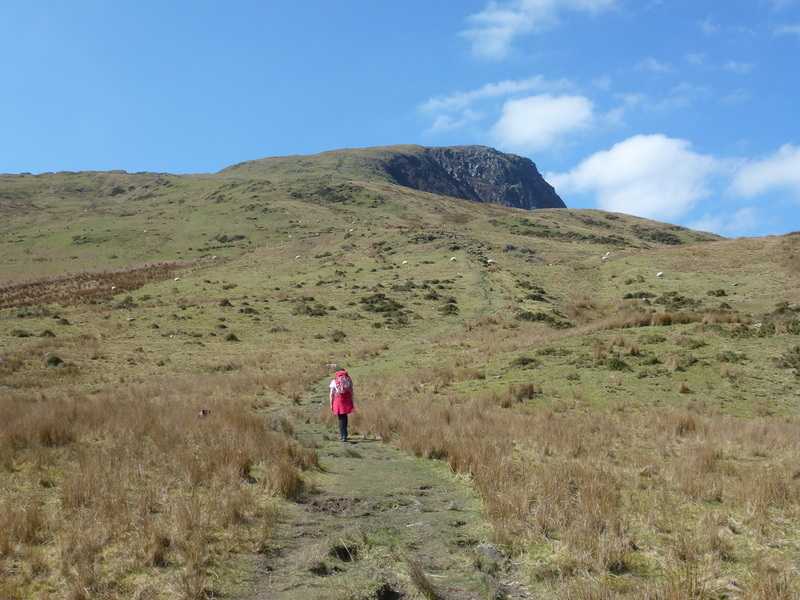 It was now a simple matter of following forest tracks to reach Cwm Marchnad that in turn brought us back to the outward route from Rhyd Ddu. 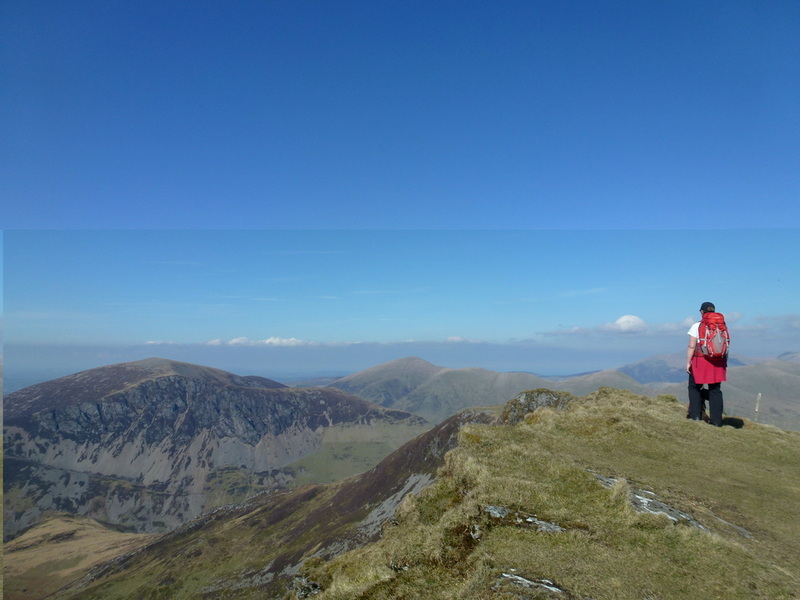 This was our first time on the Nantlle ridge but certainly will not be the last. 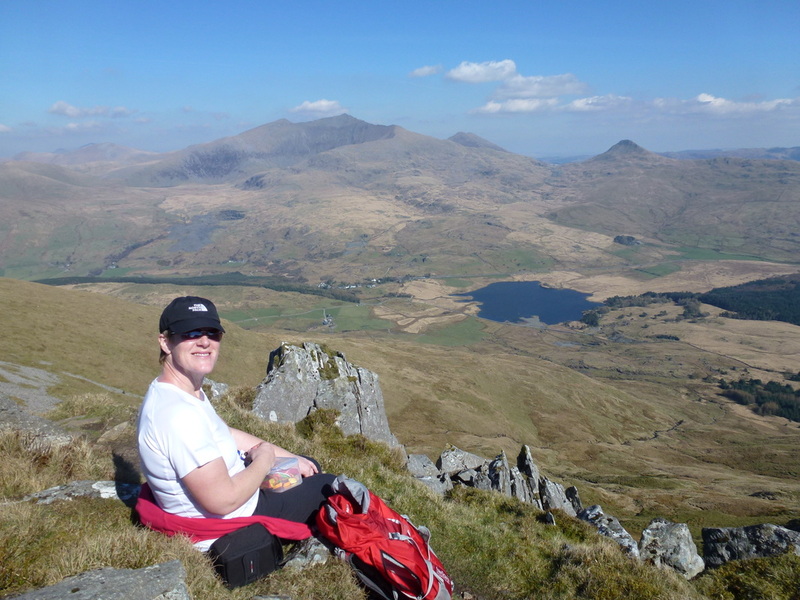 Superb mountain walking on good paths with some exhilarating scrambling - oh and the views over Snowdonia were exceptional too! 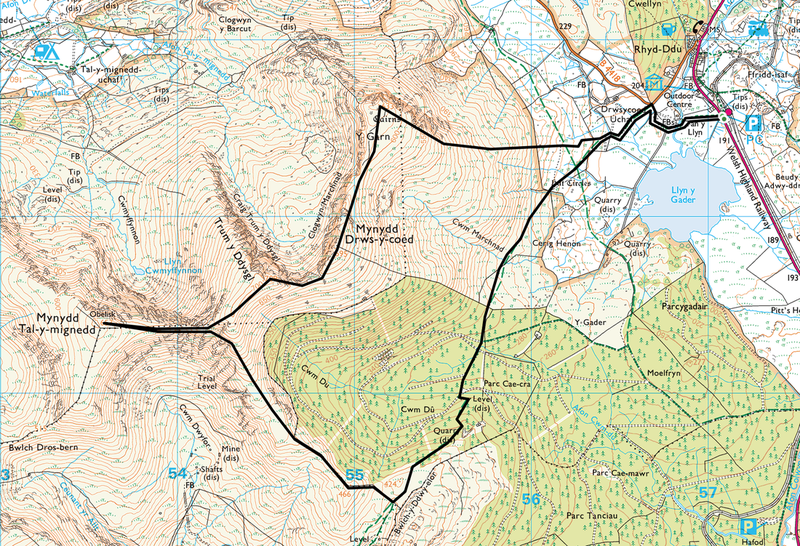 Almost there. 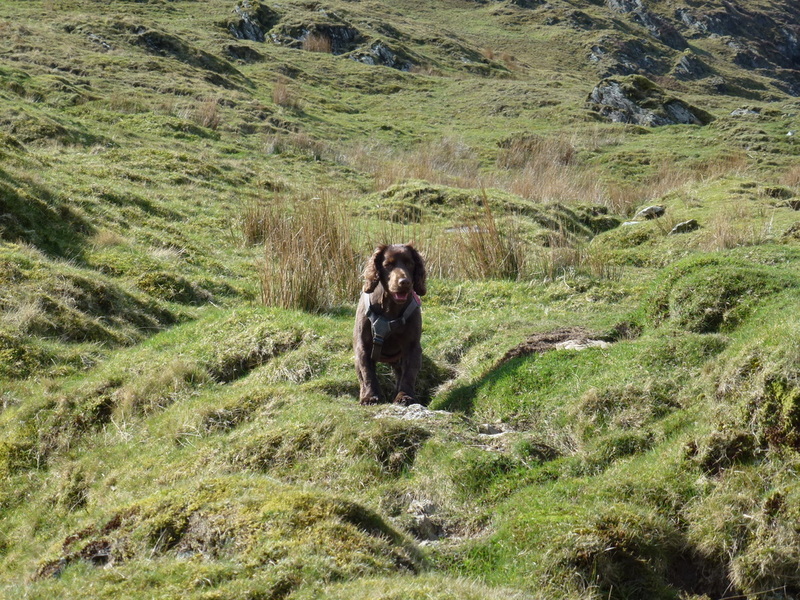 Fudge stops still in his tracks if there is anything he thinks is beyond his limitations - hence his helping hand here!